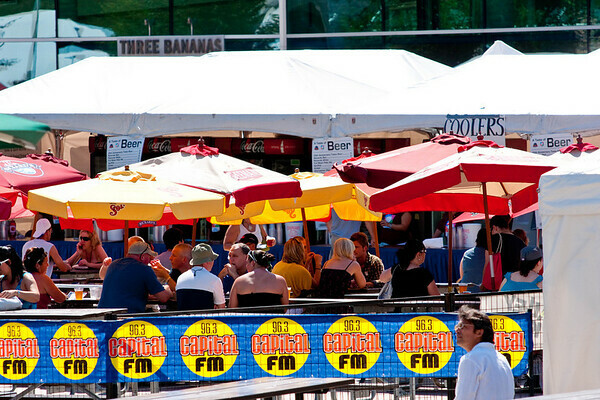 The Taste of Edmonton festival is an annual event where a selection Edmonton restaurants set up kiosks in Churchill Square to present samples of their cuisine. It is an great opportunity to see what kind of fare local restaurants have on offer. 2009 marked the 25th anniversary of this popular event.